Since 1906, food has been a critical component of the Marksman experience. The Food Services staff has included numerous legends, some who dedicated more than 40 years to St. Mark’s, including Maxine Cantley, Lucy Sheppard, Thelma Levells, Steve “Hollywood” Walker, and Howard Stewart. Every school day, these tireless workers, together with dedicated parent volunteers, shepherd hundreds of boys and teachers through the lunch line, providing both nutrition and examples of leadership, service, and responsibility. St. Mark’s looks to ensure excellence in every component of campus life, including in the Great Hall. 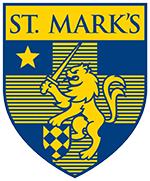 Within its new strategic plan, Goals for St. Mark’s IV, the School reiterates its commitment to “provide daily lunches that are healthy, nutritious, and widely appealing.” This summer, with the retirement of Sally Stephens, Director of Food Services for 23 years, the School took the opportunity to take a fresh look at the St. Mark’s dining experience. Through thoughtful planning, the School partnered with Sage Dining Services to update lunch at St. Mark’s. Sage is known for a dedication to preparing delicious and nutrition meals using only fresh ingredients and locally sourced foods. 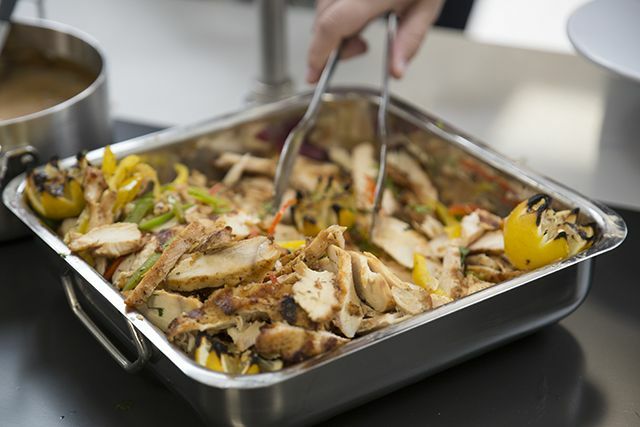 Meals are prepared in small batches in-house to ensure freshness and consistency throughout multiple lunch periods, as well as to reduce waste. 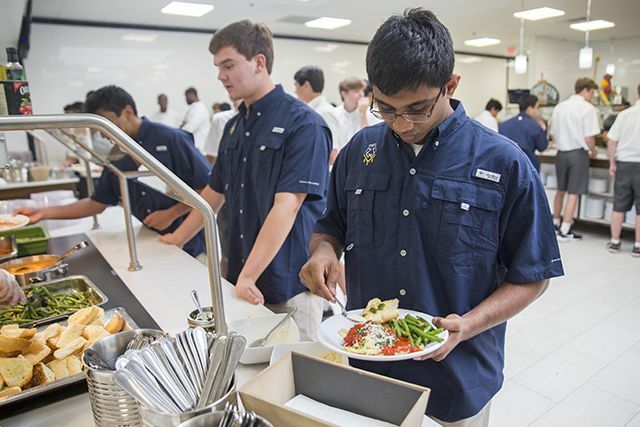 The company and its cuisine may already be familiar to some community members: Sage serves other Dallas independent schools including Hockaday, ESD, and Greenhill. The focus on nutrition is evident in the new online menu as well as a free smartphone app for iPhones and Android phones (“Touch of SAGE”) that provides weekly menus with allergy and nutrition information. 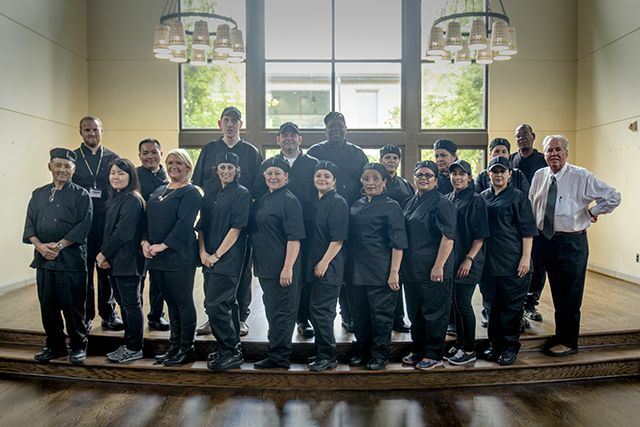 Ed and four other members of the Sage team have joined the St. Mark’s family: Hazuki Cox, Front-of-House Supervisor; Michelle Easter, Catering Manager; Marshall Garrett, Executive Chef; and Trinh Vo, Sous Chef. 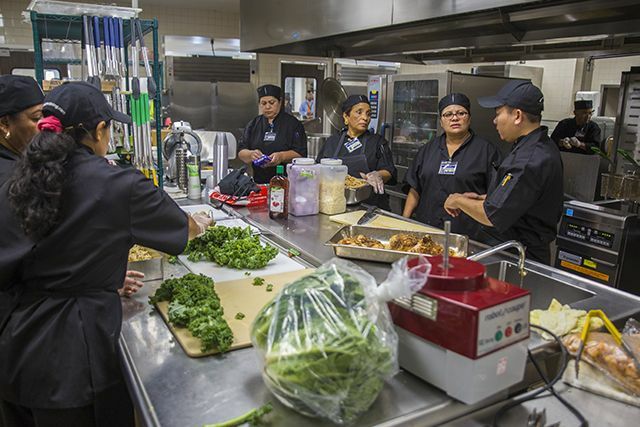 Over the past few months, they spent countless hours learning about the School community and integrating with the existing Food Services staff. Meanwhile, for the first time since its dedication in 1994, the Great Hall was renovated and the servery redesigned to improve student flow and facilitate the new menu. “Our goal is for the first person through the line and the last person through the line to receive the same food options,” said Marshall Garrett. “We’re going to need to learn our audience, what kind of food is most popular, and how much of it we’ll need, but we’ll deliver heavy portions for the first couple of weeks so everyone gets whatever they want." The faculty and staff have already enjoyed a tasty preview of the new menu during their pre-sessional meetings, and the reviews so far have been excellent. Teachers enjoyed whole wheat pasta with a selection of sauces, tossed Caesar salad, freshly-carved Italian house-roasted beef, and an extensive salad and sandwich bar. 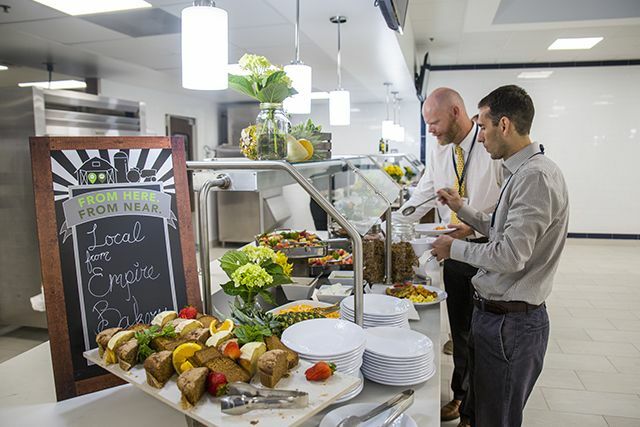 The School is still committed to providing daily vegetarian and vegan options and an expanded variety of choices for students, faculty, and staff. Marksmen can also rest assured that many of their cafeteria favorites will still be offered, including Indian food and soft-serve ice cream.